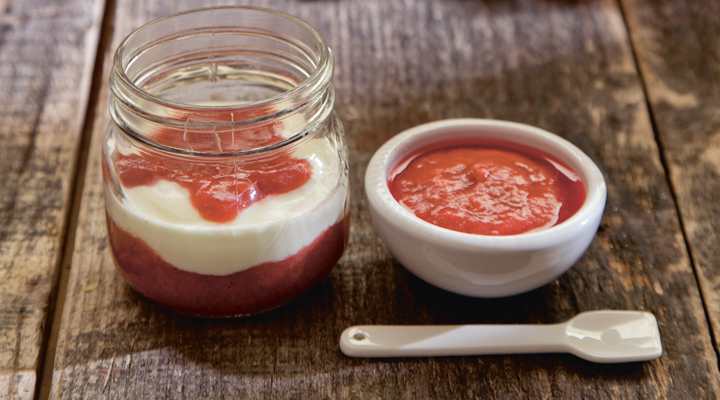 The rhubarb, plum and vanilla compote can be a quick dessert for adults and other children when added to some creamy Greek yogurt or crème fraîche. a simmer and cook for about 10 minutes, until softened. Remove from the heat and allow to cool. Remove the vanilla pod before blending to a fairly smooth purée. Taste and adjust the sweetness with maple syrup if needed.